The charitable services listed here offer free, confidential help and advice relating to healthcare issues. Visit their websites for more detailed information. When you are affected by cancer, having the right kind of information and support, at the right time, is vital. The MacMillan Cancer Information and Support Service at Oban Library is a weekly drop-in service available each Wednesday afternoon. Starting in November 2015, experienced and trained volunteers will provide support and information to anyone affected by cancer; family members, friends, carers, work colleagues or employers and of course, the patient themselves. No appointment is necessary; the service is free and confidential. Visitors will be welcomed with a friendly smile, a cup of tea and a place to chat in comfortable surroundings. Private meeting space, telephone and email support is also available. Do you want to know what is going on in your area? Do you wish you could get more out of life? Perhaps you’d like to find out how to do more things online or take time to get to know your neighbours? Living it Up is a new support network that finds and creates opportunities with our community to improve health, wellbeing and quality of life. From newsletters to events, there are lots of ways for you to become involved, get more out of life and keep up to date with what’s happening in your area. Funded by the Scottish Government and led by NHS 24, with support from 8 health boards including NHS Highland, Living It Up is a free service to help you get and share information for a healthier lifestyle. 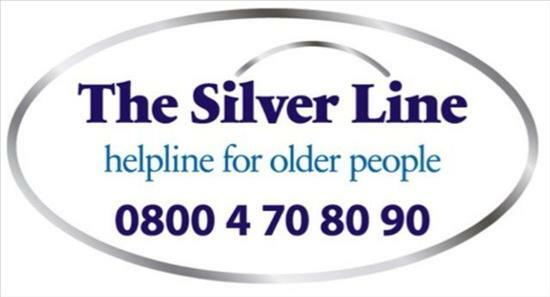 Launched in November 2013, this confidential helpline offers free information, friendship and advice for older people. The service is available 24 hours a day manned by vetted and trained volunteers who enjoy talking to older people and are happy to offer information or simply have a chat.